Although it's the youngest of the Hawaiian archipelago, The Big Island of Hawaii is twice as big as all the other islands combined, with a diverse climate that features all but two of the world's climate zones. 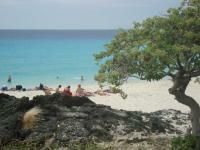 Securing a Big Island rental is the ideal place to call home while discovering its magnificence. Hawaiian Beach Rentals makes your search for Big Island home rentals simple, with an impressive selection of luxury accommodations. There are seven districts on the Big Island, and the diversity of the Big Island includes everything from green sand beaches to volcanic deserts to tropical forests to snowcapped peaks. We offer the best homes for rent on The Big Island regardless of which area you plan to stay, whether its Kailua-Kona on the West side or Hilo on the East side. Top Big Island house rentals await you from our vast selection of Hawaiian vacation homes. From Big Island villas to premier beachfront homes, we have the best Big Island vacation rentals to suit your needs so you can enjoy your Hawaii vacation with all the luxuries of resort living and comforts of home. 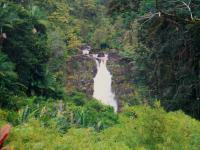 In Hilo town, nearby home rentals allow you to take a walk along Hilo Bay, shop in the downtown area, or view the thundering Rainbow Falls in the Wailuku River State Park. If you choose to stay on the Kailua-Kona side, our top selection of Big Island home rentals help you take advantage of beautiful white sand beaches, night snorkeling with manta rays, riding a parasail boat, and of course, sipping coffee from one of the 600 specialty coffee farms where certified Kona coffee is produced. Choose one of our gorgeous Big Island house rentals so you're never far away from a Big Island beach. Swim, surf, snorkel, or body board along the Kona Coast, the sunniest spot in the United States, at Hapuna Beach, Mauna Kea Beach, or Makalawena Beach. Or, explore one of the many black sand beaches in Puna that have black sand from volcanic lava rock. If you want optimal body boarding and surfing conditions, head to Laalao Beach known as "Magic Sands" and considered one of the safest beaches in the area due to the shallow, sandy bottom with nice views of Hilo Bay. Snorkeling fans will want to go to Lelewi Beach Park, which offers a shallow bay and includes several inlets, coves, and natural ponds and home to coral reef and marine life including green sea turtles and spinner dolphins. With a Big Island home rental, it's never been easier to enjoy Hawaiian beach living. Our large inventory of exceptional Big Island home rentals and preferred resort condominiums also allows you to enjoy extravagant amenities to stay connected and feel like home. Fantastic Big Island rentals with multiple bedrooms, pools, private hot tubs and saunas, Internet, and Wi-Fi access all give you all of the comforts of home with the added bonus of luxury resort living. A trip to The Big Island would not be complete without a visit to the Hawaii Volcanoes National Park in Kau to watch an active volcano spewing lava. Considered a World Heritage Site, the park also boasts 150 miles of hiking trails through craters, deserts, rainforest, and the actual volcanoes. The Hamakua Coast is famous for its waterfalls and verdant rainforest, and the stunning Akaka Falls, where waters spill 442 feet through a gorge into the river below. Finally, don't forget to hit a round of golf on a world-class fairway, such as Hualalai Golf Course designed by golf great Jack Nicklaus. With a luxury home rental on The Big Island, all of these experiences are only minutes away. So, start planning! Experience the rich natural splendor of Hawaii with activities for everyone. 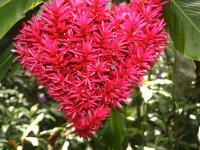 A Big Island vacation rental from Hawaiian Beach Rentals will help you discover this diverse tropical paradise.